Oh wow this is neat! A friend told me about it and I love it. Live 5 mi from airport and I can check witch flight is overhead. A améliorer en ajoutant le plan des cabines et possibilité d'avoir la position des sièges. I really enjoy sitting on my deck in the Mountains of Southeast Ky and finding -Where That Plane Is Going, since all planes from the South and Southwest make a directionional change right over my house. Save your money. Does not work as advertised on my I Pad. 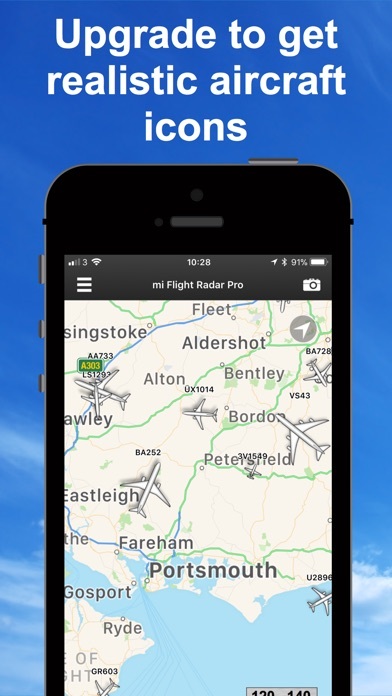 I live in the flight path of a major airport and have planes passing over every 5 minutes. 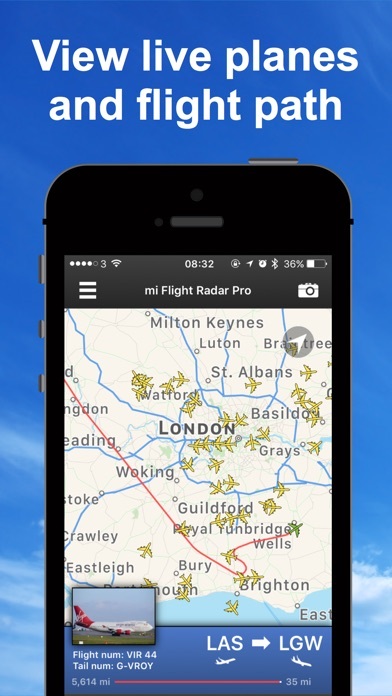 The app is very inconsistent in detecting the aircraft flying overhead. 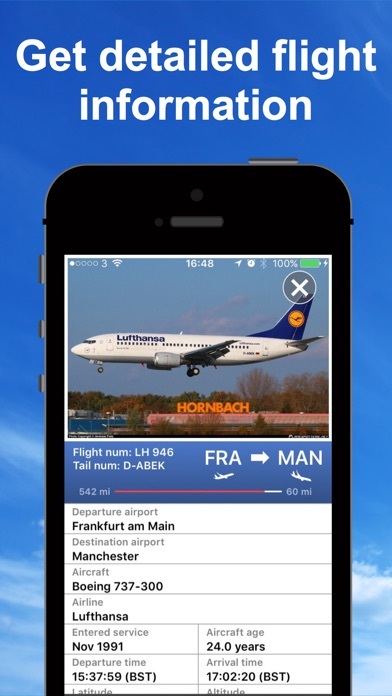 This app is a must have. 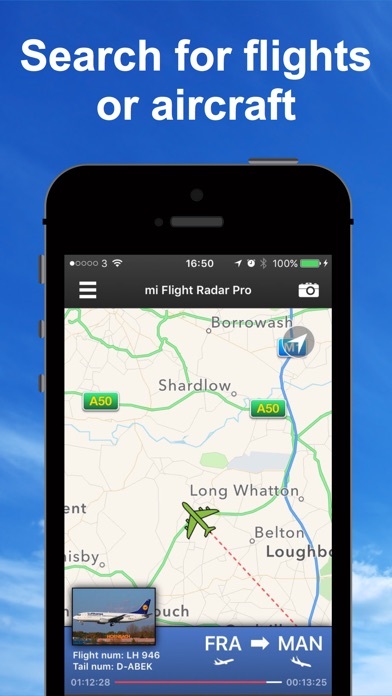 It works great at tracking flights without any difficulties. 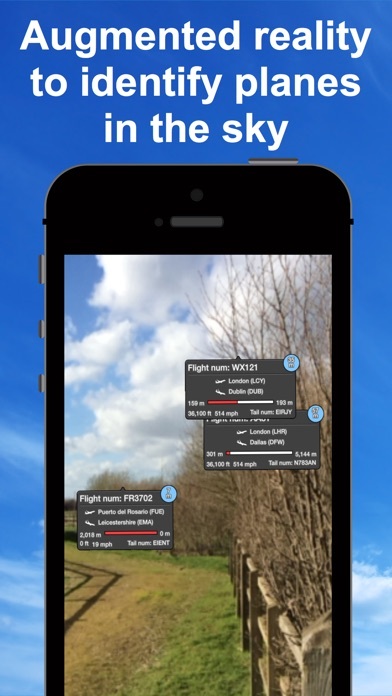 This app loads fast and has plenty of features; a must for uas pilots!